 A missing or damaged tooth can do more than just make chewing uncomfortable. Depending on its location, it can have aesthetic implications and also cause alignment issues with your other teeth. If you’re in need of tooth restoration, come to Dr. Ron Richardson & Associates. As an established dental clinic that’s been serving Scarborough for more than 30 years, we offer a variety of restorative dentistry solutions to give our patients back their smile and their confidence. When it comes to dental restorations, we don’t believe in a one-size-fits-all approach. That’s why we make it our business to treat patients like individuals and evaluate them thoroughly, one mouth at a time. Once we get a chance to assess your condition, we’ll recommend a number of restorative dentistry solutions and educate you on the advantages, timing and costs of each option. And because we want you to be fully comfortable moving forward with treatment, we’ll be happy to answer any questions you have along the way. To find out more about your options for restorative dentistry or to schedule a consultation at our Scarborough clinic, call us today. It’s time to make an investment in your smile. Contact us today to schedule an appointment or learn more about how we can help.